In these practice sketches, I tried several different techniques. First, I only partially removed the liquid mask. This resulted in a stippling effect in some of the clouds. 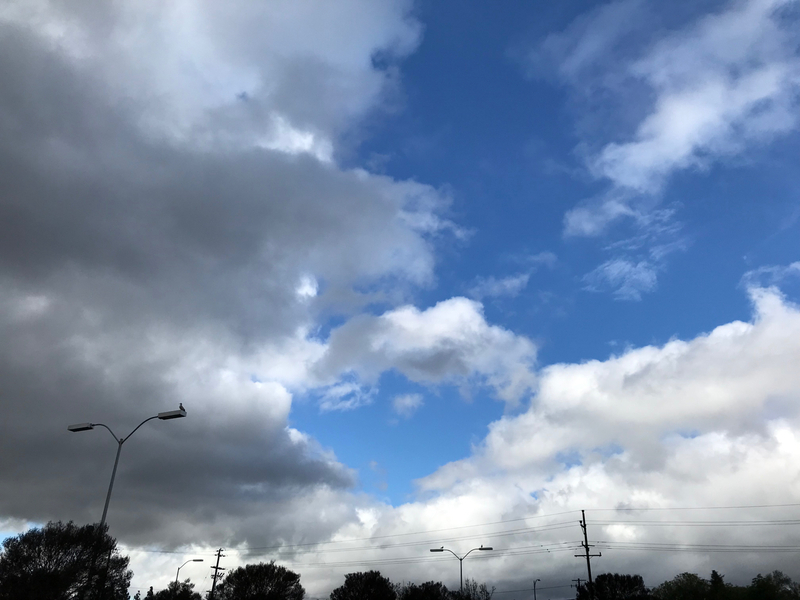 I also laid down a second blue wash on the sky. 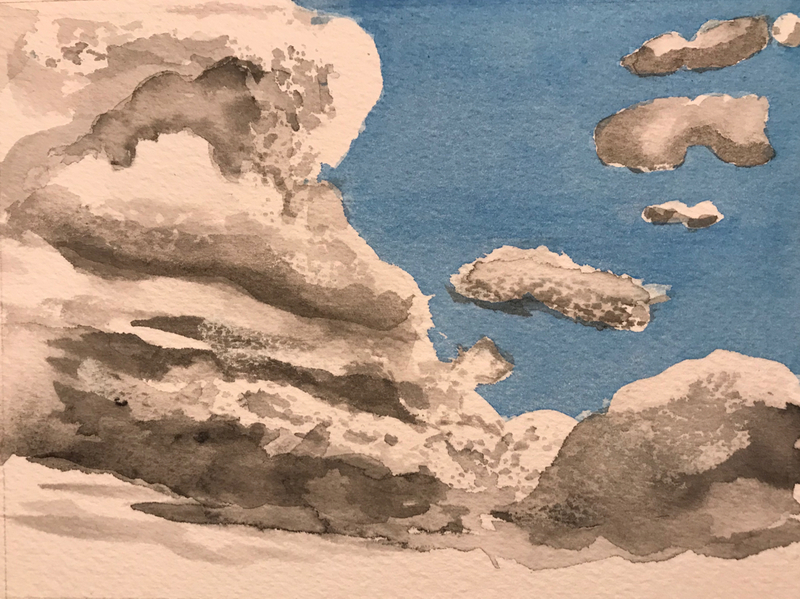 I tried different ways of sculpting the clouds with gray and black pigments. In the second sketch, below, I used a darker blue as a second wash. I laid down a small landscape at the bottom of the sketch, for scale. 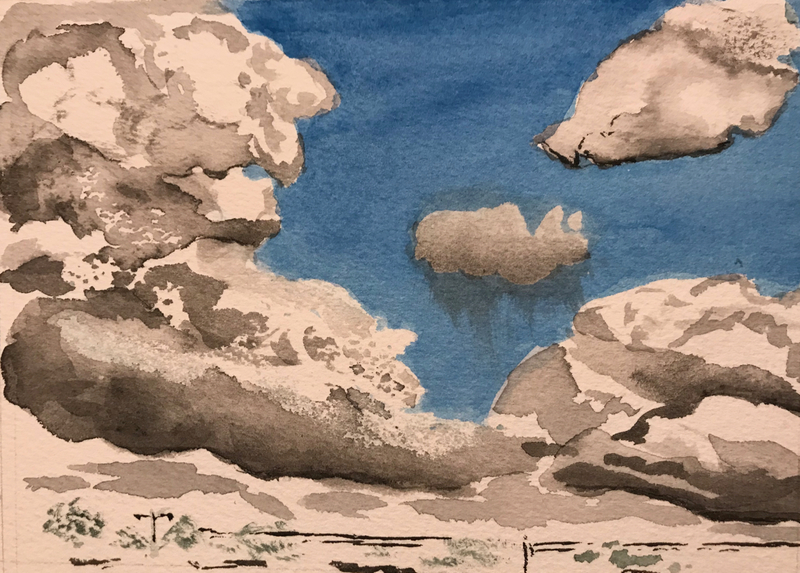 This entry was posted in Personal Stories and tagged art, artistic expression, artistic process, blue sky, cloudy, creative process, visual art, watercolor, watercolor practice, watercolor sketch. Bookmark the permalink.